Welcome to this very charming home that has been totally renovated and is move-in ready! This home features an open floor plan with Living Room, Country Kitchen and Dining Area, 3 bedrooms, 1.5 baths and separate Laundry Room. You will love all of the updates that have been made to make this a worry-free home. Freshly painted interior and exterior, all new plumbing that includes an added half bath and new water heater, new electrical panel and wiring, all new flooring, newly installed foam insulation in ceiling and walls, all new drywall on ceilings and walls, new interior doors and trim, new Kitchen Cabinets, countertops, Refrigerator, Range and Dishwasher. Every inch of the interior had been updated. 6' x 26' front porch, 20' x 21' detached garage with a 8' x 21' porch. Huge 70' x 400' lot (.64 acre) that has woods in back. Directions:Gene Snyder to exit 8 Fairdale- left on National Turnpike-Right on Harrison Lane to property on left. SchoolsClick map icons below to view information for schools near 11011 Harrison Ln Fairdale, KY 40118. House for Sale at 11011 Harrison Ln Fairdale, KY 40118. Description: The property located at 11011 Harrison Ln Fairdale, KY 40118 with the MLS# 1524241 is currently listed for $125,000 and has been on the Fairdale market for 70 days. 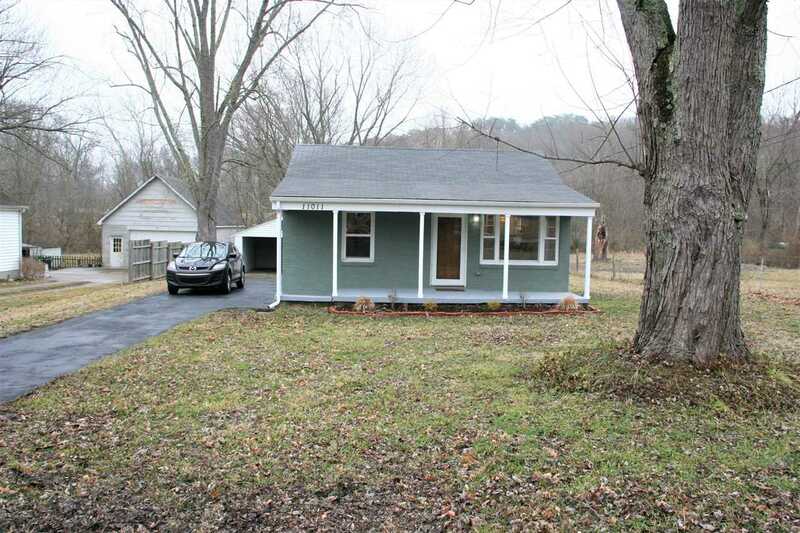 You are viewing the details of the home for sale at 11011 Harrison Ln Fairdale, KY 40118, located in the neighborhood which includes 3 bedrooms, 2 bathrooms, and has approximately 1122 sq.ft. of living area.